Drake doesn't own the 6ix — at least, he doesn’t own that trademark after a decision from the Canadian Intellectual Property Office (CIPO). Drake doesn't own the 6ix — at least, he doesn't own that trademark after a decision from the Canadian Intellectual Property Office (CIPO). The 6ix is, of course, one of the star rapper's favourite nicknames for Toronto, and his company, October's Very Own, applied for the trademark in the late summer of 2015. But, the CIPO found 6ix actually belongs to Michael Di Cosmo, a local electronic dance music DJ and producer, who applied for the trademark way back in 2000. Drake was a teenager at the time. 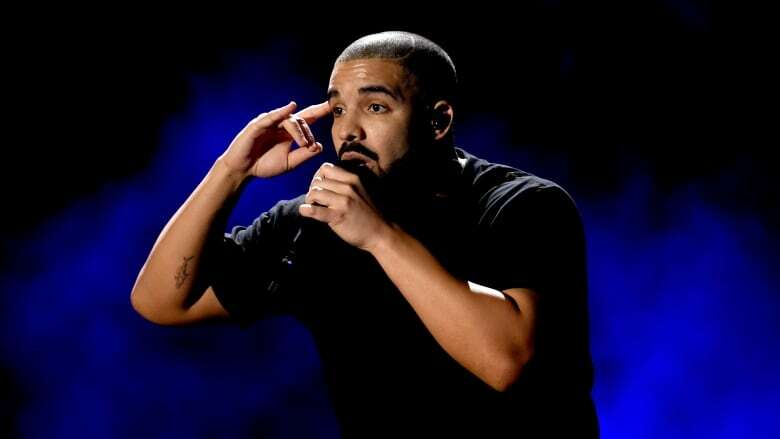 "While my client wasn't using the mark on the same scale as Drake or in the same context, this matter highlights that trademark rights are based on first use rather than how famous you are," Di Cosmo's lawyer, John Simpson, said during the trademark battle. Did the Weeknd just diss Drake in new song 'Lost in the Fire'? Drake's legal team argued Di Cosmo hadn't been using the trademark, but the CIPO found that argument "insufficient" in its decision. However, Drake's company and others will still be allowed to use the 6ix on everything from t-shirts to hoodies to hats. Simpson, speaking with CBC Toronto after the decision, also admits "it could be a challenge to tell Drake what he can and can't do." This isn't the first trademark fight that's erupted over a Toronto nickname. Last year CBC Toronto reported on a battle between two local breweries over the use of YYZ on their labels.